Discussion in 'Team Fortress 2 Talk' started by tf2.com, Jun 2, 2015. Are you great at making fun, addictive TF2 maps? Do you have no idea how to make a map, but you like playing on them? Are you only vaguely aware of what maps are and prefer to just walk in a single direction until you find what you're looking for? Introducing the Maps Workshop Beta, a place for all three of you to upload, enjoy or just learn about the existence of maps! The Maps Workshop Beta is an in-development one-stop hub where mapmakers can instantly upload and get feedback on their maps. Simply head over to the in-game Workshop tool and click on the new Maps button. If you're just in the market to play new maps, you can now browse the Maps Workshop and up-vote and subscribe to maps you like—or just connect to a server running a Workshop map and it will download automatically from the Workshop. And remember, this is a Beta that we'll be working to improve. The TF2 team is incredibly appreciative of your feedback. It only took like, three years. 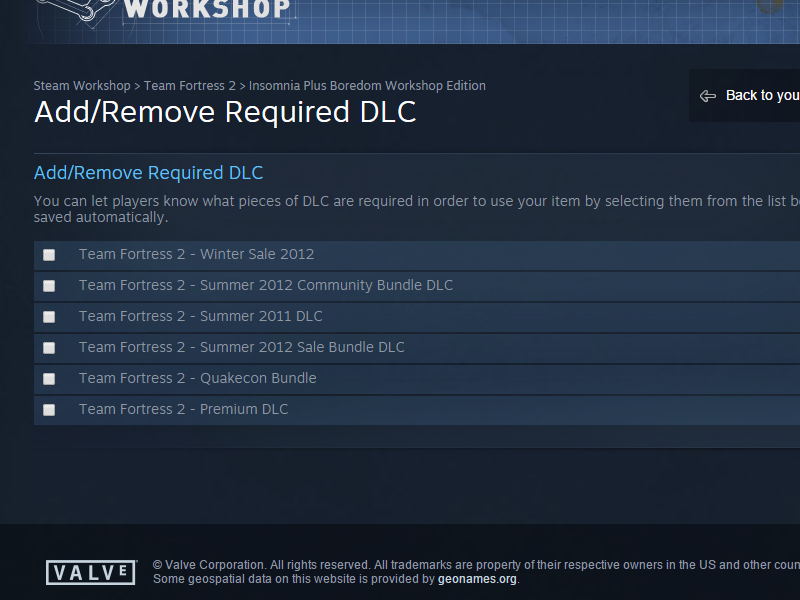 Well we have a Official Workshop, but dont let TF2maps die! 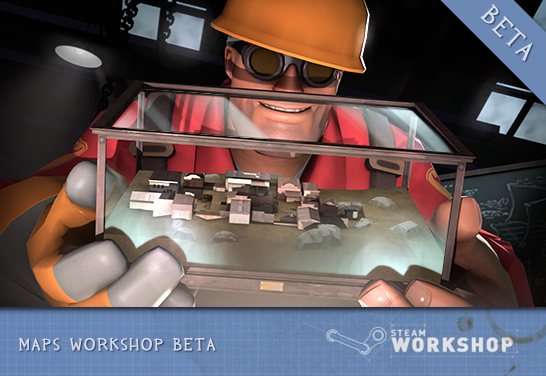 You can submit maps from the in-game workshop button, there is a new button inside there for 'Maps - beta'. If you have custom content, you pack that into the bsp first before uploading (don't 7zip into a bz2 or anything). Though... for MvM maps, you can't pack in the missions and bot lists, can you? I seem to remember those had to be seperate or else they wouldn't work right. I've wanted this for so long, finally! Keep TF2Maps alive though, you guys are inspirational. It's a good time to be mapping. This is especially great for a lot of you talented folk. Why would TF2Maps go anywhere, there'll always be a need for playtests and mapper feedback. Time for me to get back in the game and double down on Turbine2 and 2street. The clock is ticking! About time. I've been wanting and suggesting this for some time now. And the amount of people on this site that were saying that this would be a bad idea was ridiculous. Gunna have to get some stuff up there when I get home. 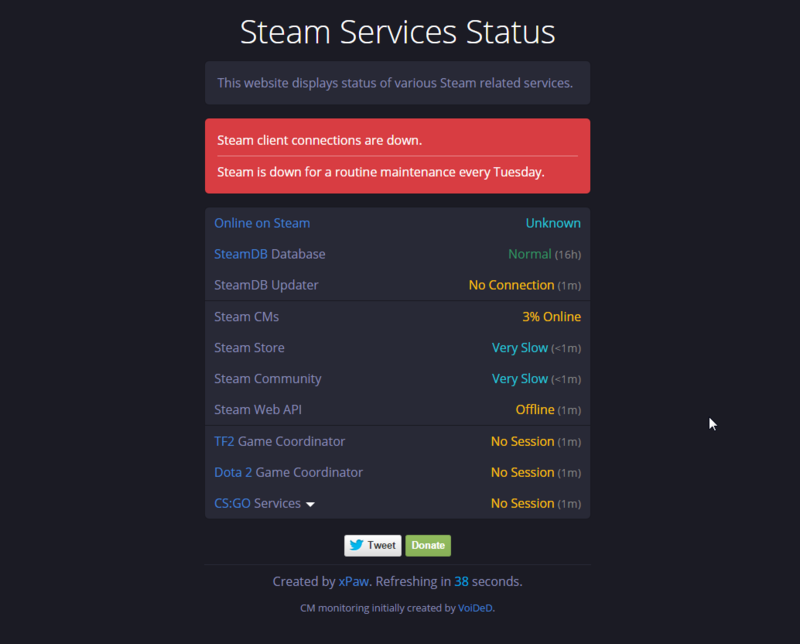 just connect to a server running a Workshop map and it will download automatically from the Workshop. Does that mean those players become subscribed? Because that would be awesome. Haha, premium players only. Prevent the gibuses from flocking to your map! Edit: And check out the most popular maps! You go, Crash! Edit edit: Congrats to too many names, and the list is fluctuating like crazy! Now I've just got to get some maps in shape to get them in shape. The cycle is never finished.